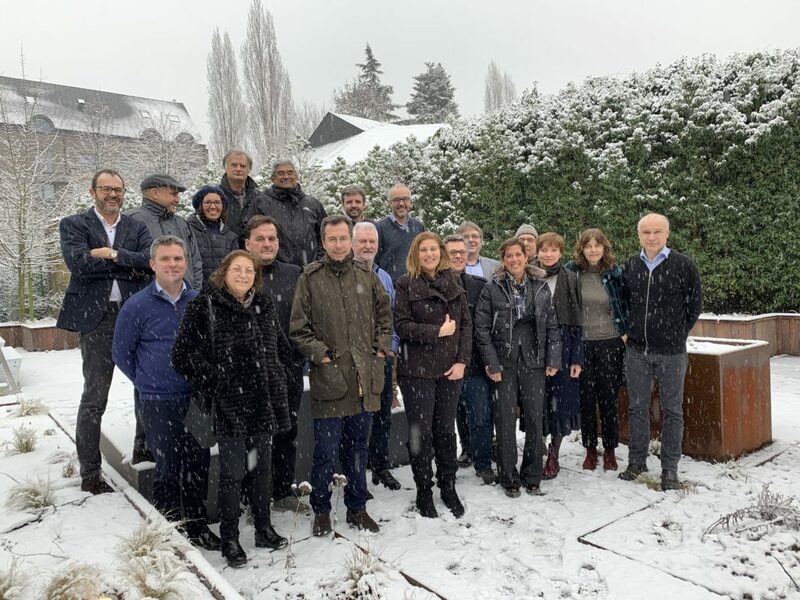 On 30 January, the EuroGOOS Executive Directors Board met with the Chairs of EuroGOOS Task Teams, Working Groups and Regions (ROOS), to set out the main objectives of the new EuroGOOS strategy. The strategy will cover the period 2020 to 2030, which aligns both with the UN Ocean Decade and the UNESCO-IOC’s Global Ocean Observing System strategy, covering the same period. EuroGOOS is the European component of the IOC GOOS and will follow the main strategic lines of the GOOS strategy, spanning the Operational Services, Ocean Health and Climate. The new EuroGOOS strategy will be implemented through the five EuroGOOS Regions, the Arctic, Baltic, Mediterranean as well as the North-West-Shelf and Iberia-Biscay-Ireland areas of the Atlantic. The key to success will be partnerships within and across these regions between the long-established and emerging operational oceanography, environmental monitoring, and blue economy initiatives and networks, along the EOOS framework objectives. EuroGOOS working groups and technology task teams will help enabling such interfaces through open collaborative projects. EuroGOOS will move towards an Earth system approach to ocean observing engaging closely with the Earth Observation communities worldwide. Capacity development will also remain a key strategic area, both through knowledge transfer via best practices and technical and expert capacity building in less well resourced communities. The strategy will drafted this spring through a series of consultations with the EuroGOOS members, working groups, task teams and ROOS, and further discussed at the EuroGOOS General Assembly in May 2019. The finalization of this new and ambitious strategy will coincide with the celebration of the 25th anniversary of the organization. EuroGOOS was established in 1994 through a foresight report by a dedicated European Committee on Ocean and Polar Sciences, ECOPS, task force, a few years after the establishment of IOC GOOS to ensure the European contribution to the Global Ocean Observing System while also strengthening the pan-European integration.